Virginia Gingras is an experienced high school educator, an Ultra-Marathon runner and veteran athlete who suffered from an eating disorder and depression in her late teens/early twenties. For the past 15 years, she has spoken at various schools, businesses and adult engagements around the topic of Positive Mental Health. Her presentations are a must see for all ages as they evoke change, inspire endless possibilities and fuel the belief that “yes, I can”. Virginia is a well rounded individual who has held a variety of educational leadership positions over the past 15 years (Math Department Head, Elementary School Principal, Summer School High School Principal, Math Consultant) and in 2016 secured the fastest known time for a female to run the entire Bruce Trail (900km+ in 13 days – about 70km a day), raising $18, 000 for Mental Health in Youth. To learn more about this adventure (videos, pics and blogs) click on Virginia Vs Bruce tab on the home page. 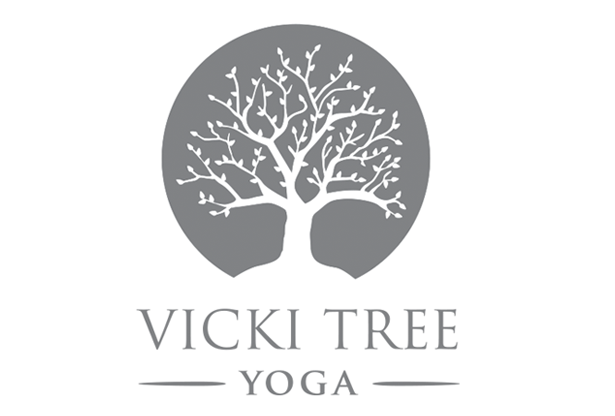 Presently, Virginia runs her own wellness business, Vicki Tree Yoga & Wellness. Brief Description: This candid presentation uses Virginia’s personal stories of a struggle with an eating disorder & depression, along with her epic Virginia Vs Bruce Trail Run, an initiative where she secured the fastest known time for a women to successfully run the entire Bruce Trail (900km + in 13 days) as a platform to open dialogue around positive mental health. Topics pf the presentation include the importance of celebrating success, knee jerk reactions, emotional awareness, finding the “hidden gifts” in uncomfortable disappointments, advocation for yourself & negative self talk to name but a few. Virginia speaks of the power of vulnerability and shares honestly about her own thoughts, feelings and attitudes during various highs and lows in her life. As a result, she is able to connect with her audience and make her speech come to life. She draws parallels between eating disorders and other negative coping mechanisms such as disordered eating, bullying, overplaying strengths, anxiety, alcoholism, avoidance and drug/gambling addictions. She emphasizes how her obsession with food, exercise, physical appearance and weight were merely symptoms that masked much deeper underlying issues: negative self image, control, loneliness, lack of acceptance, shame, guilt and fear. Her “Virginia Vs Bruce” adventure allows her discuss the importance of realistic goal setting, staying committed to the process, handling emotions, managing stress and the power of resilience and perseverance. This speech is powerful, educational and most of all relatable to all teens, tweens and children who are navigating through their emotions as they navigate through the complex world around them. Brief Description: As an adult, finding balance and managing stress is crucial to finding happiness both inside and outside the workplace. This presentation interweaves three personal stories as a platform to discuss finding your own calm in chaos with a huge focus on positive mental health (celebrating success, knee jerk reactions, emotional awareness, finding the “hidden gifts” in uncomfortable disappointments, advocation for yourself & negative self talk to name but a few). Arrive To Thrive: “imperfectly. perfect. living” uses Virginia’s own 3 personal stories (past depression/eating disorder, Virginia Vs Bruce Trail Run of 900km women’ record of Bruce Trail and the sudden death of her sister) as platforms to discuss the above topics. Focus is on “thriving” by committing to the process, handling stress, believing you can and overcoming obstacles along the way. This is a must see for any staff or adult group and will inspire one to reach for their full potential. All the presentations are tweaked to suit your audience. Lets keep the conversations around Positive Mental Health strong, real, alive and ongoing! To learn more about Virginia’s background, click here.